Addis Ababa, July 29, 2015 (SPS) – The Saharawi Republic (SADR) participated Tuesday in Addis Ababa in the reception ceremony for the US President Barack Obama, as part of a historic visit Kenya, Ethiopia a and the African Union headquarters. SADR was represented at the event by Mr. Baba Al-Bardi, First Secretary of SADR embassy in Ethiopia, Maria Eid Saila, from the permanent mission to the AU, and Wadadi Salek, media and cultural attaché. Addressing the Union, President Obama urged the world to change its stereotypes attitude towards the African continent given the profound transformations towards progress and development taking place in its countries. He added that Africa’s aspiration to achieve democratic governance requires the respect for peoples’ will and enable them to exercise their natural right of choice. Mohamed Lamine Haidala was 21 years old when he died from wounds that his family say were inflicted by five Moroccan men. An ethnic Saharwi, Haidala was attacked, beaten, and stabbed in the neck in El Aaiun, Western Sahara on 31 January. 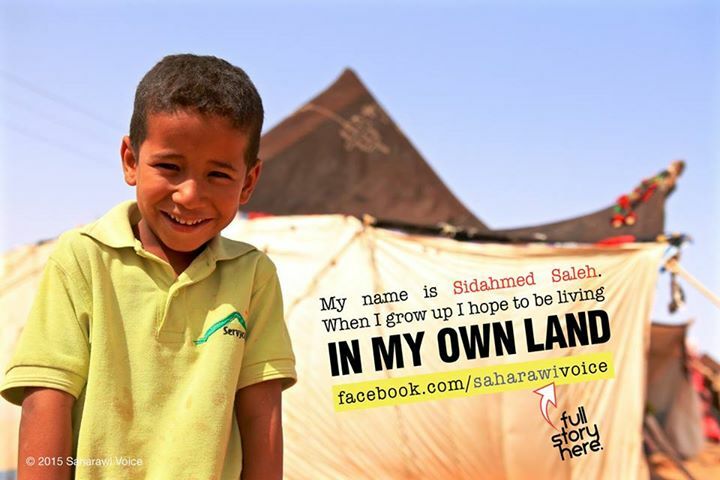 His family insist he was yet another victim in a territory where the native Sahrawis are constantly subjected to abuses by Moroccan authorities or by Moroccan settlers who enjoy an environment of near-total impunity. Hatra Aram’s house was raided at night in February 2012 by a squad of Moroccan policemen in plain clothes. Every part of her body was badly beaten, especially her head and face. She said that she is “under constant risk of detention” for allegedly hosting Sahrawi pro-independence meetings in her squat house. For 40-years around 100,000 people from the little known country of Western Sahara have waited in a refugee camp over the border in Algeria to return to their home country. Women in the Sahrawi culture are seen as powerful and are leaders in their community. Graham Clifford travelled to the Sahara camps and met these strong women of the desert.